If a breakdown occurs during a programmed washing cycle, you need to know how to drain all the water from the washing machine in order to start repair. Some manufacturers have provided for the possibility of such situations. 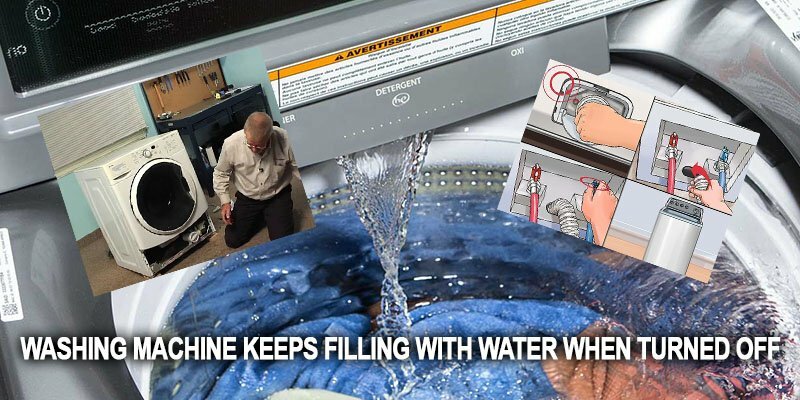 For example, some models of Samsung and Bosch washers are equipped with an emergency hose which owners may use to easily drain water if necessary. This device is located next to the drain filter. All it takes to reach it is to open the small door located in the lower part of the front panel of the washer. It masks and protects the devices necessary for servicing. The drain hole connected to the drainage hose is located behind the small cap described in the previous case. There is a filter in front of the hose inside that compartment, which, according to operating instructions, need to be regularly cleaned. In older models of washers (for example, in old Indesit models) the drain hole with the filter above it is located at the very bottom, so it may be quite difficult to put even flat containers for collecting water under it. This is the easiest way to drain the water from the drum. However, it only works fine if the drain filter and the drain hose itself are not clogged or blocked. Most often, owners have to use this hose if the pump which pushes water into the sewer system is out of service. In this option, the drain hose attached to the rear panel of the unit needs to be unscrewed from the hole and put on the floor previously covered with rags, i.e. it needs to be placed at the lowest level possible. Forced drain through the pipe will require radical measures – owners might need to disassemble their washers. It is not worth to use this method without any obvious reasons. It will only be good if all of the above methods did not bring the expected result. A typical symptom is the complete absence of water in the drain hole after removing the filter with a mesh from it. This means that the internal drain line which sends water to the drain hole is blocked.